So I’m currently trying to get my life back together after Homecoming so this week’s post is going to be a little bit basic. Don’t judge me. I know Taco Bell could probably kill me. But have you had one? It’s honestly kind of delicious in this completely “this shouldn’t exist” kind of way. No seriously, I will eat the entire menu. My favorite is the Nibblerz. They’re tiny chicken sandwiches using tenders, Zax sauce, and a bun made of the signature Texas toast. My mom used to make them all the time and they’re honestly my favorite part of potlucks, can you ever go wrong with a BBQ meatball. I convinced my dad to overnight me a bowl to DC my freshman year. That’s dedication. A guilty pleasure with a special place in my heart. If you don’t put pineapple on your pizza you’re sad. Just sad. Again, have you ever been to Publix? That chicken tender sub is heaven on earth. I don’t have to say anything else. Look at the picture. Wonderful gems that need no further explanation. What’s your favorite food? Let me know in the comments! Omg!! Pepperoni and pineapple pizza!!! My friends always say “pineapples don’t go on pizza” but i totally disagree!! I love pineapples on pizza. It’s such a great combination. Lol this was a good read <3! I totally got hungry so bad right now haha and my lunch isn’t until another two hours! I’m obsessed with crab legs! Wow! I have to try the combination of pepperoni and pineapple. Sounds interesting. I love chili too. I haven’t made it in a while but once it starts really getting cold, I will. You have some of my favorites on your list (and I love those Doritos Locos Tacos too) and you took it back for me with the Chester Hot Fries. I used to eat those all the time but my stomach can’t handle it like it use too, LOL. 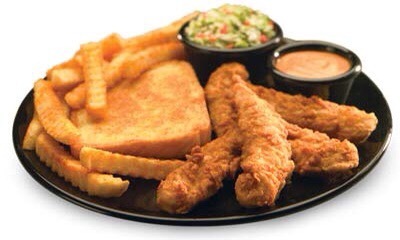 By far some of my favorites, I love me some Zaxby’s! ok this post just made me so hungry! lol…I love chipotle!!! Hey girl! It’s funny that you mention pineapple pizza because here at my school there was literally a whole debate on whether pineapple belongs on pizza, lol. I personally have never tried it so I would know. Maybe one of these days I give it a try. Also, YES to the mac and cheese and the crab legs! You totally had me until pepperoni and pineapple pizza 😩😩😩😩😩. Dope post. Now I’m hungry lol. 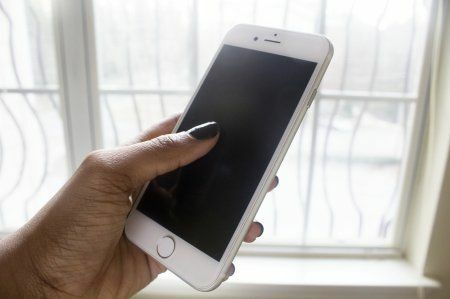 These apps are sure to help you keep your New Year Resolutions.